For decades, the Temple of Santiago has been submerged under more than 100 feet of water, but now, the 450-year-old church has remerged. A long-running drought in the southern region of Mexico has caused water levels to drop dramatically, once again revealing the incredible architecture of the abandoned church, which was submerged after the construction of a nearby dam. 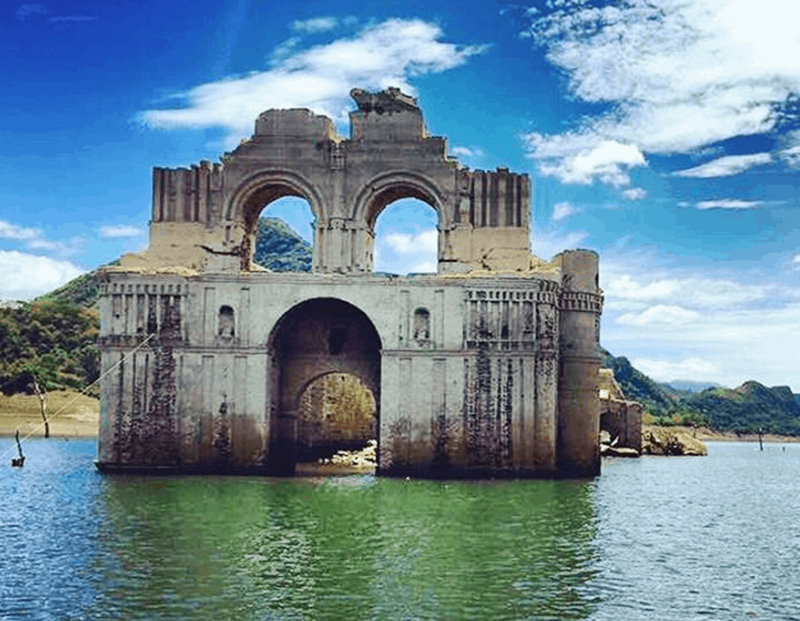 The reservoir has gotten so low that nearby fisherman are now giving tours of the stone church, which as these pictures (like the one above from @exploringchiapas) show, has held up remarkably well considering it’s been at the bottom of a lake for the last 50 years.